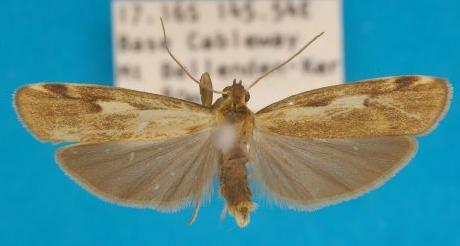 The adult moths of this species have brown forewings each with several arrow-head markings. The hindwings are plain brown. The wings are elongated compared with most other moths in LITHOSIINAE. The wingspan is about 3 cms. Volume 51 (1940), p. 56, No. 3.